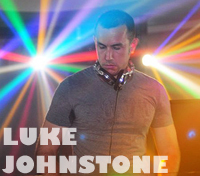 Luke's passion for music and his craft are obvious - from soulful grooves, to driving funky house, uplifting vocals and progressive tribal beats, it is clear that Luke likes to have fun with the music. Getting his start at legendary San Francisco after-hours, Bump! Luke holds residencies at 3 of San Francisco's hottest club's &mdash; Industry @ Mighty, Matinee @ Temple & Thick @ Eight - regularly playing alongside some of hottest DJ's in the US. Originally from the UK, Luke is now based in the US, but travels the world with his music. Whether it's a club in London, a bar in Bangkok, a beach setting in Bali or a big circuit party in the US, Luke always brings an international flavor to his sets. Recent highlights include Heaven (London), DTPM @ Fabric (London), Rapido (Amsterdam), Fresh (Amsterdam), Joystick (Cologne), Salvation (Barcelona), Luxy (Taipei), China Pride (HK), Labor Pride (HK), ARQ (Sydney), Raw Hide (Melbourne), Destination (Beijing), Play (Singapore). In the US Luke has played at Winter Party Week (Miami), Independance (P'town), Winter Pride (Whistler), Hydrate (Chicago), Splash (NYC), G Bar (NYC), Here (LA) among others. 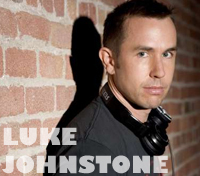 Luke has also played the main dance stage at San Francisco Pride and the world renowned 'Halloween in the Castro' for the last few years, drawing over 100,000 enthusiastic partygoers.